To provide our students with the skills and knowledge required to build a rewarding career in the profession of yacht and small-craft naval architecture via distance learning. To support continued growth of the recreational and small-craft marine community through the development of well-trained, safety oriented, boat designers developing better products for the benefit of the boating public. To provide continuing education to marine industry professionals. Founded in 1930, Westlawn's primary function is to assure a continual source of highly skilled boat and yacht designers and marine technicians to the marine industry. A significant portion of the world's boat and yacht designers are Westlawn trained. The Internet provides a wide array of communication opportunities to our students as well as an efficient twenty-first-century method for the faculty to communicate with students. Adult learners studying to gain the required skills for careers in the small-craft boatbuilding industry. 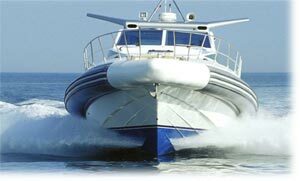 Westlawn's world renowned course in Yacht & Boat Design consists of 4 Modules. Each module is intended to represent a year of work for a serious student. This is a work at your own pace course, so a student may take less or more time to complete any module. Each module costs $4,400 for tuition and books, and $100 per month for access to our on-line student learning infrastructure. Westlawn's world renowned course Overview of Naval Architecture for Marine Professionals consists of material extracted from our premier Yacht & Boat Design Course. This is a work at your own pace course, so a student may take from a few months to about a year to complete the course. The course costs $4,400 for tuition and books, and $100 per month for access to our on-line student learning infrastructure. This course earns 28 CEUs.